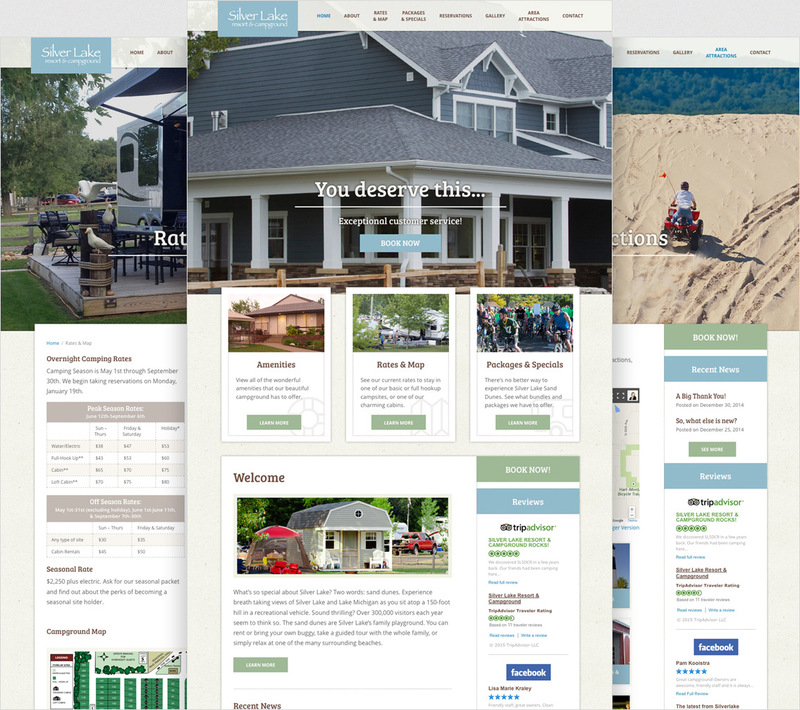 Silver Lake Resort & Campground of Mears, Michigan came to Envigor to completely redesign an outdated and problematic website. 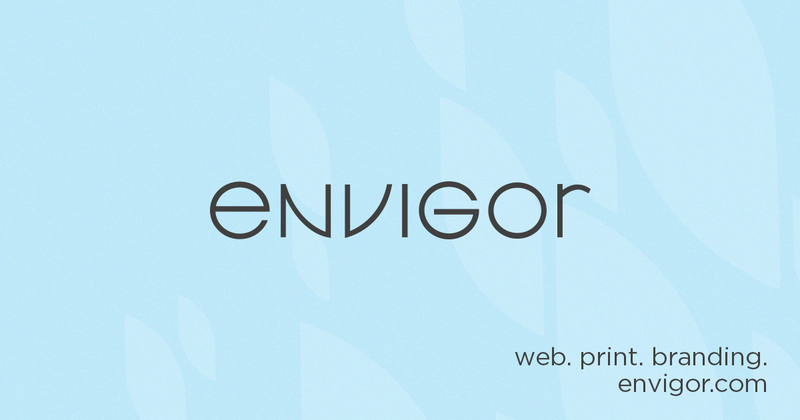 The result was a modern take on rustic that showcases their unique and pristine facilities as well as exceptional customer service. 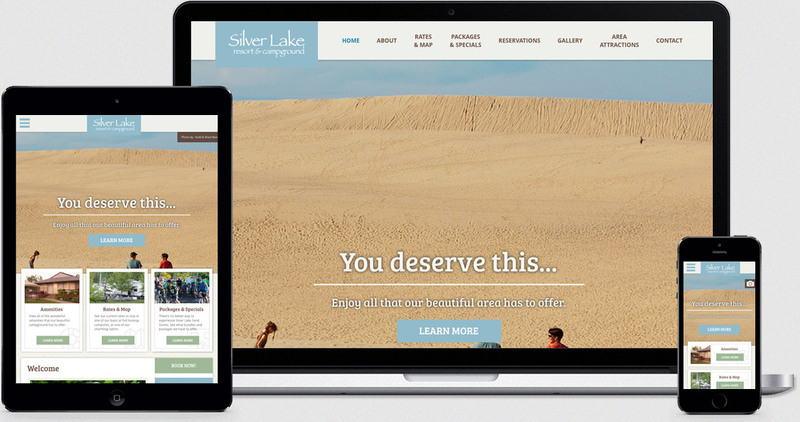 The fully-responsive and fluid website, optimized for all devices, features a gallery with capabilities to add images or videos, reservation email form, parallax image scrolling, and a section dedicated to local businesses and attractions in the Silver Lake area.